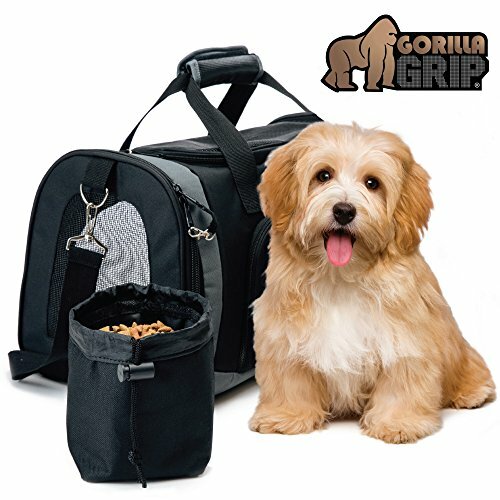 The Original Gorilla Grip Pet Carrier is your pet’s first class ticket to a comfortable and safe trip. Our customers asked us for a best-in-class pet carrier and we delivered! How big is the carrier? Our carrier measures 17.5″ x 11″ x 11.4″, and will fit under most airline seats. 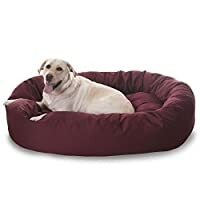 The perfect size for pets up to 15lbs. 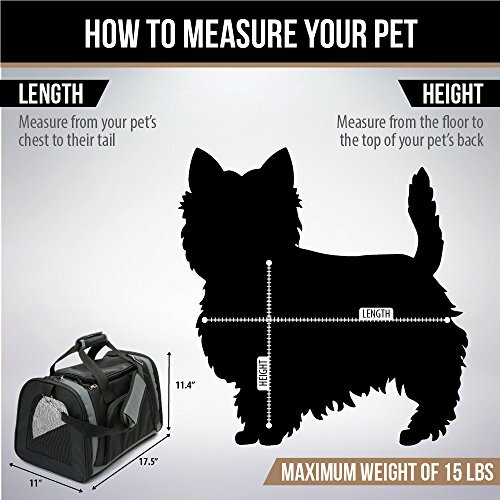 For details on how to measure your pet to ensure a comfortable fit, please see our product listing images. We strongly recommend checking with your travel carrier for specific pet policies. 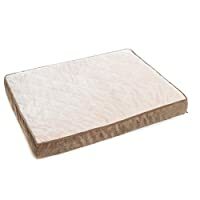 What features will help keep my pet safe? 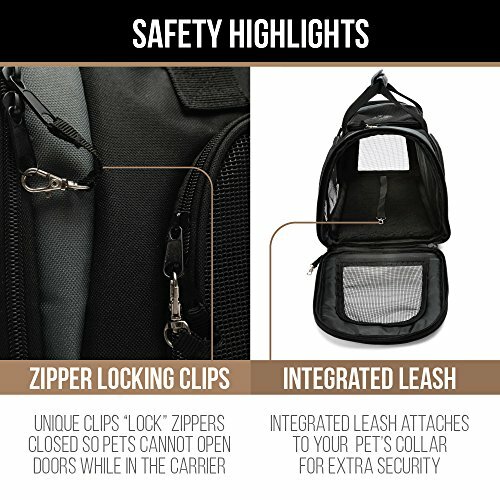 Our pet carrier features our unique zipper lock clips to ensure nosy pets cannot open the carrier from the inside during travel. Plus the internal leash can attach to your pet’s collar to keep them safe and secure. 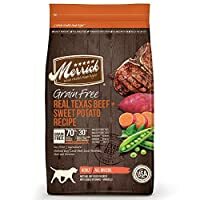 My old carrier was uncomfortable for my pet – how is this different? 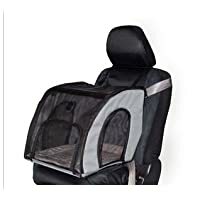 Unlike pet hard kennels, crates, backpacks, and purses, our soft carrier and supportive Sherpa liner keeps even the most nervous pets snug and stable during travel. The liner is removable for easy washing. Mesh doors allow for plenty of air to circulate through the carrier. Plus our free travel bowl makes it easy for your pet to have a drink or nibble on the go and fits perfectly in the generous front pocket! What makes this carrier comfortable for me to carry? We want to make traveling with your pet easy! Our adjustable padded strap with easy pass through sleeve will protect weary shoulders. The rotating metal strap hooks helps to keep the strap tangle-free. 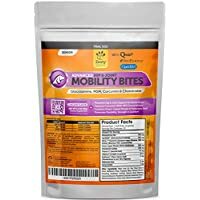 Tired shoulders? The soft and supportive comfort grip makes it easy to hold the carrier by the handles. 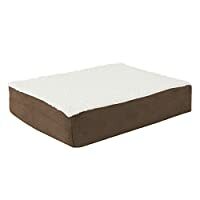 Perfect for travel and everyday use. 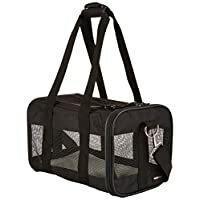 Can I return the pet carrier if my pet doesn’t like it? Absolutely. We are proud to offer our customers a 10-year no hassle guarantee. If you are unhappy for any reason (even after the Amazon return window) please contact us directly for a full refund. THE BEST PET CARRIER YOU WILL EVER OWN! 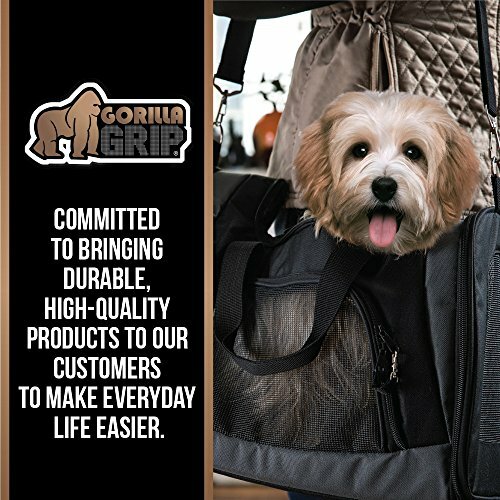 Keep your furry friend safe, comfortable, and happy in the Gorilla Grip Pet Carrier. 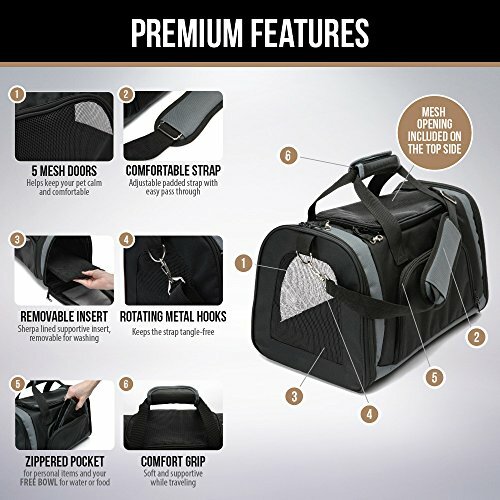 Features include: 4 soft mesh doors for better air circulation (including top load option), all zippered exits have safety clips, internal leash, front storage pocket, adjustable padded comfort strap with pass through, and rotating metal hooks to keep your strap tangle-free. PLUS, a soft, removable, washable Sherpa insert with firm bottom to keep your pet stable and snug. FREE BOWL: We love our customers and their pets! 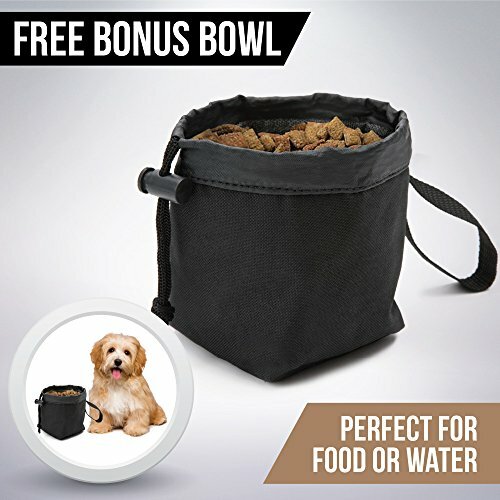 Our pet carrier comes with a FREE bowl perfect for food or water on-the-go. Bowl fits perfectly in our zippered pocket. SAFETY FIRST: Travel with confidence! 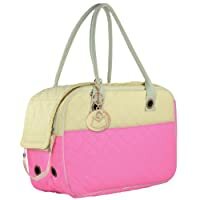 Features our unique ZIPPER LOCK CLIPS that prevent your nosy friend from opening the carrier during travel. An internal leash keeps your pet secure inside the carrier. 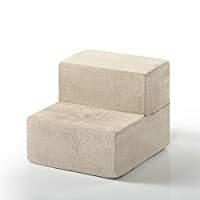 AIRLINE APPROVED: generous 17.5″ x 11 x 11.4″ size fits comfortably under seat and meets airline and TSA requirements. 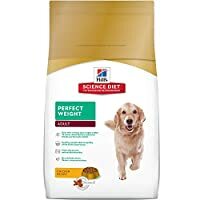 Perfect for small pets up to 15 lbs. Please check with individual air carrier before travel to ensure you are compliant. 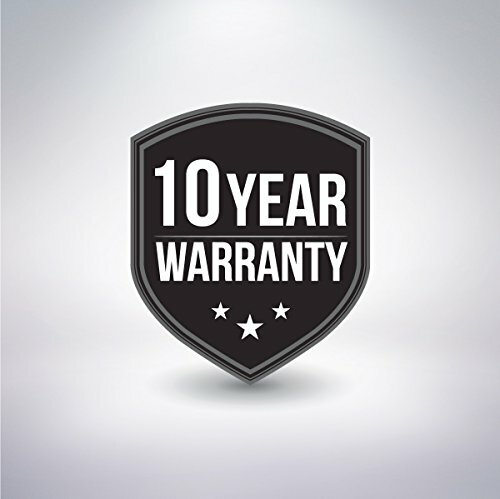 WARRANTY: We are proud to offer our customers a 10-Year Guarantee on your purchase.